Wiseman Christopher: Speak out, who are you? Demon: Why do you want to know? Wiseman Christopher: Jesus wants, talk in the name of Jesus, who are you? Wiseman Christopher: How many of you? You said “we”, how many of you? Wiseman Christopher: Can you mention your names? Demon: I am the wife, one idol from his family, his father’s side. We’ve been sent to destroy his life. He wants to serve God, we are agents of Lucifer. Wiseman Christopher: You are agents of who? Demon: Agents of Lucifer. We want to kill him. Why does he want to serve God? In his family he’s the only one. He wants to serve God, why? We want to destroy his life. Wiseman Christopher: How do you want to go about it? Wiseman Christopher: What means have you chosen to destroy him? What are your methods? Demon: We wanted to kill him by accident. When he was coming here, he was involved in two accidents but he didn’t die. He would be praying every day, why? Wiseman Christopher: What stopped you from killing him through accident? Demon: He has been praying. He always has the anointing water with him, why? Wiseman Christopher: He always has what? Wiseman Christopher: How does prayer affect you? You said he’s been praying with anointing water? Demon: Why do you want me to look at it? Wiseman Christopher: What do you have against it? Demon: We don’t like it, it’s fire! That’s it, fire! Wiseman Christopher: Is it the anointing oil that stopped you from killing him through accident? Demon: Yes-yes, it’s the same thing. 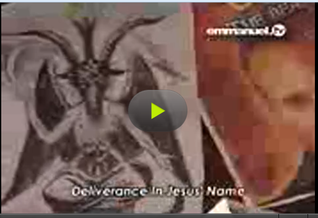 Wiseman Christopher: You said you are an agent of Lucifer. Where do you operate from? Demon: We’ve got so many strategies that we use on him. We sleep with him in his dreams. When he wakes up he would realize that we’ve come. And always wakes up at nights waiting for us to come so that he can pray. But we never appeared to him. He thinks he’s smart, we are smarter than him. So sometimes he doesn’t sleep, he’ll just be awake to see if we’ll come. Any five minutes that he passes out, we come and we sleep with him. Yes we don’t want him to serve God. When he was coming here (SCOAN), we did everything possible to send him to jail. He spent two weeks in jail. He was detained by immigration. He spent two weeks in jail in South Africa. We did it, we don’t want him to get delivered. When we sleep with him, he can’t do anything. When he wakes up he can’t pray. Sometimes he cannot even serve in the church he was normally committed. When its time for church he would feel weak; we put sickness in him, severe headache, and then he would be struggling in his career. When he made up his mind to come here, his passport got missing. Wiseman Christopher: Who hid his passport? Demon: We could see what he is planning to do, so we hid the passport. And then he managed, he was praying, fasting, he got the passport. He was arranging his documents; we stopped the documents first, at home in South Africa. He wants to some here and get delivered, for what? Finally he managed to do emergency documents, by the time he got to the airport he was stopped and he was taken to jail, we wanted to kill him. Wiseman Christopher: Was that why he spent two weeks in the jail? Wiseman Christopher: Who did it? Wiseman Christopher: What is the Synagogue Church of All Nations that is attacking both your master-Lucifer and you people, the demons? Demon: You are asking me as if you don’t know, don’t you see fire everywhere here, and can’t you see that I’m feeling hot? Can’t you see that? You people are delivering people up and down, why? Wiseman Christopher: What’s wrong with delivering people? Demon: Why do you deliver them, they belong to us! Wiseman Christopher: So you people have been sending them, those demons? Demon: Those people belong to us, we want them to serve us. They should work for us. Wiseman Christopher: What is your work? Demon: We want to kill them, we want to destroy them, it’s our happiness. We sent him this Facebook request and he refused it. Wiseman Christopher: Bring it out! 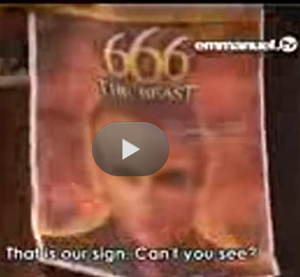 Demon: He printed the photo; he wants to show the prophet. We invited him on Facebook on this one, through our agents, we wanted him to accept the request then he would die. Wiseman Christopher: What is this all about? Wiseman Christopher: What is these all about? Wiseman Christopher: What does it mean and how do you use these figures? Demon: When we send those pictures and you accept it you will become a member of our kingdom, so we would start communicating with you. Then we will get hold of you and when we do, you can also become a member, you will serve us, you will also go and get people for our kingdom. So, whoever see this thing, that person is in trouble. Wiseman Christopher: What kind of trouble? Demon: If that person is not careful, we get a hold of his soul. And that is it for him. He will work for our kingdom. Wiseman Christopher: What caliber of people have you initiated? Demon: We focus especially on youths- young men and women. Wiseman Christopher: Why do you choose to focus on youths? Demon: They like Facebook, they like Facebook, so we invite them, in different ways, so we get hold of them through that. A lot of them register on Facebook. They have their photos there, we go through them and those that are called, we attack them. Wiseman Christopher: How do you attack them? Demon: Through ladies, we sometimes place our ladies to invite them, they become friends with them. Wiseman Christopher: What kind of ladies? Demon: Beautiful ladies. We’ve got beautiful ladies in our kingdom and very handsome guys. We send them out there to attack people. So if you become friends with them on Facebook, you are in trouble (even this guy am possessing his body, he doesn’t know, he’s confused, we got his number and he doesn’t know where we got his number from). We call him at nights and threaten him. We told him that he is going to die and would not see 2013 because he made up his mind to serve God. He wanted top come to Synagogue, we called his number. Wiseman Christopher: How did you get his number? Wiseman Christopher: When you capture these youths that always have their pictures on Facebook, what happens to their career, destiny and future? Demon: They are destroyed. Nothing will work for them. Can’t you see this guy? Before he came here he sold all his stuffs. Even some didn’t pay him the money. A lot of people promised to assist him before he came here, he had to sell all his stuffs; his laptop, iPad, everything, he sold it, even his car. He struggled and when he got to the airport he was arrested, he was taken to court and he paid a lot of money. When he booked the ticket for Saturday he arrived there and was told the ticket was sold again. Wiseman Christopher: Whose pictures are these and from where? Wiseman Christopher: Sign of what? Wiseman Christopher: You have explained what you did to this man, I’m talking of the youths you have succeeded in getting from Facebook through these means, what is happening to their career? Demon: Their career is damaged. They will struggle, they will work, even at school, they will not perform when they finish, there will be no job for them. They will be struggling, when they struggle, we are happy. That is how we enjoy. Wiseman Christopher: What will happen to marriage if at all they get married? Demon: They will not get married. Some of them when they sleep with those girls, they are finished. This guy is not married, unless they are delivered. That’s why we don’t want you people to deliver them. Demon: When you deliver them, their lives would change. They will start making wealth. This guy I am possessing is supposed to be a millionaire. He was supposed to have a congregation and serve God. We stopped everything. Sometimes we appear to him as snakes, we operate in many ways. Wiseman Christopher: What will happen to the spiritual life of those youths? Demon: Those that are called ones are our targets. They will not serve God any more. They will be sleeping around, fornicating and committing adultery, drinking, smoking that will be their life and that is our joy. Demon: That is what we like. Wiseman Christopher: How many people all over the world have you succeeded in putting into your kingdom? Wiseman Christopher: How many demonic powers do you possess in your body? Demon: No I don’t want to go, this guy belongs to me, and he can’t serve God. Since he was born we have threatened his life up till now. You see this incision on his head, he was sick and taken to a witchdoctor, when they cut it, we put spirit inside, and you today want to deliver him? When Jesus says yes- no one can say no. go out- come here. The man of God, Wiseman Christopher orders the demon possessed body. Go- come out! Come out of this body you principalities, out in the name of Jesus Christ. Out- you demon- out in Jesus name- Amen. And The man was delivered. How true is this story??? ?